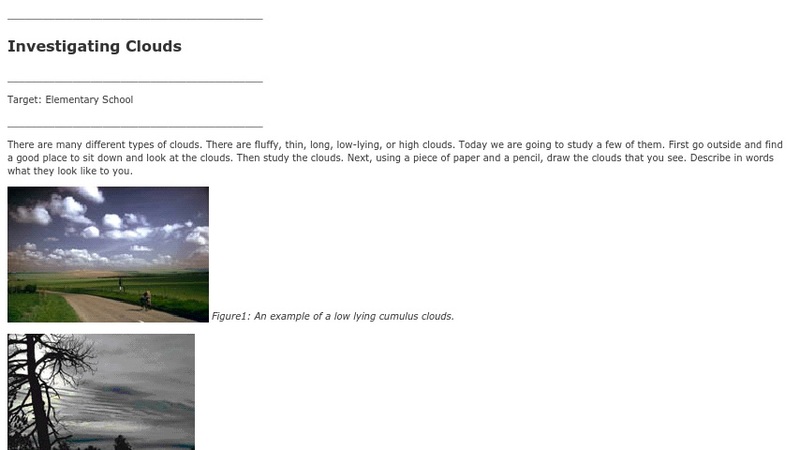 This field activity has two parts: Elementary school students are asked to draw and verbally describe clouds and are given web access to cloud pictures. High school students are taken outdoors to describe cloud height, shape, and cover; and wind speed before answering questions. The activity is part of the Atmospheric Visualization Collection (AVC), which focuses on data from the Atmospheric Radiation Measurement (ARM) program.